This week felt super long, not in a good way. Actually, maybe just the days felt long. Now that it's Saturday evening, I'm like, "Where did the week go?!" Isn't that the way? Lots of things had me feeling blah this week. And nothing had me feeling blah too. Does that make sense? But lots made me happy too! + Spontaneous frozen yogurt date with T.
+ Downloading these two songs. + Lots of cute moments with my kiddos. + Discovering the joy of happy hour. Happy hour right now means opening a Corona as soon as I get home. 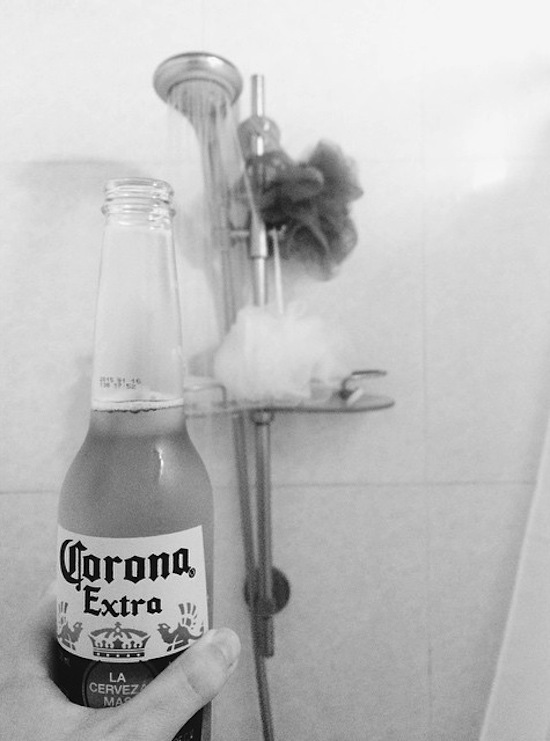 + Happy hour yesterday meant having a "shower beer" before Quiz Night! + Brunch and nails date with Melissa today. + The plans we have with Paula to play cards and eat popcorn later tonight.